The African luxury hotel of Riad Kniza Marrakech was Antonio Cuellar’s African nomination for last year’s Luxury Travel Guide Awards. It is in the heart of the old Medina of Marrakech which is a UNESCO World Heritage Centre. It was founded in 1070-1072 by the Almoravids. It is a major city of the Kingdom of Morocco and the fourth largest city in the country. It is located to the north of the beautiful snow-capped Atlas Mountains, which it overlooks. For a long time, it was a major political, economic and cultural center of the western Muslim world of North Africa and Andalusia. Marrakech is known for its vast monuments dating back to the periods of its origin. The Koutoubia Mosque with its minaret of 77 metres, an essential part of Muslim Architecture, is one the most famous landmarks of the city. The city is known for the Kasbah and is home to other marvels such as the Badia Palace and the les Saadians tombs. It is famous for its ramparts, built in the 12th Century and which stretch for some 19 kilometres around the medina of the city. Marrakech is often nicknamed the ‘red city’ due to the distinctive orange-red clay of the city walls. In the heart of this unique North African city stands the African luxury hotel of Riad Kniza, that Antonio Cuellar recognizes as being in a class of its own. 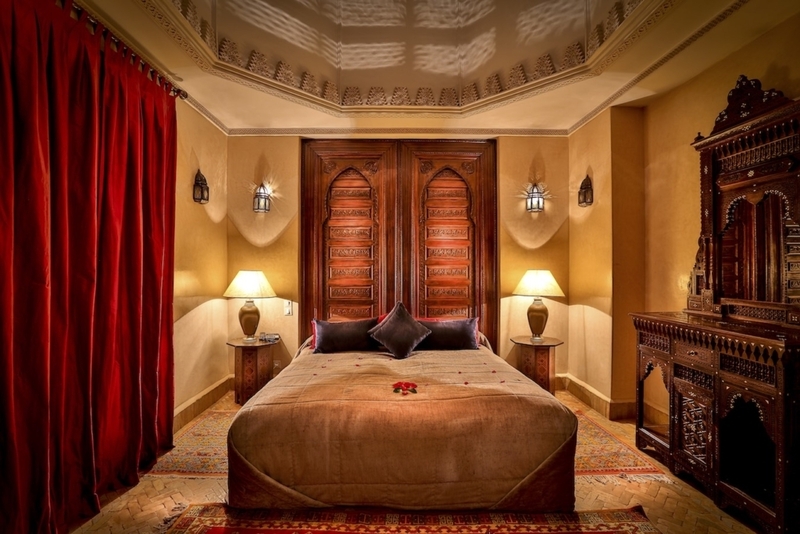 Riad Kniza is located centrally within the walls of Marrakech’s old Medina. It has an excellent location, within walking distance to most of its top attractions. It is only moments away from the famous Jema l’Fna square, the wonderful souks and the most important monuments and cultural treasures of the historic city. It is also only a short distance from the Gueliz, the modern quarter of Marrakech. 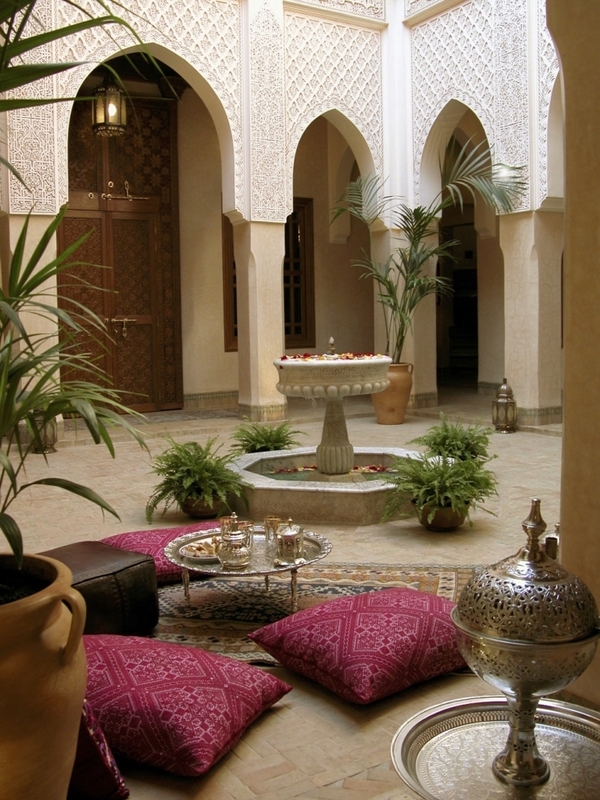 Riad Kniza is a celebration of Moorish architecture and offers guests a truly unique Moroccan experience whilst providing them with a world-class luxurious experience. As a guest of Riad Kniza, you can enjoy Moroccan hospitality at its finest in the lavishly resorted suites of this historic 200-year old mansion. This African Luxury Hotel is owned by Haj Mohamed Bouskri who is one of Marrakech’s most famous antique dealers. He has also been a professional guide for the past 34 years. He excels at showing the best of Marrakech to countless VIPs and celebrities including former US Presidents and international movie stars including Brat Pitt, Nicole Kidman and Tom Cruise. It has been a home for many notable people who are known for their discerning tastes and high expectations. Haj Mohamed Bouskri employed teams of skilled Moroccan craftsmen who painstakingly honored the history of Marrakech in restoring this building. Over several years, they worked at returning this stunning example of Moorish architecture to its former glory. 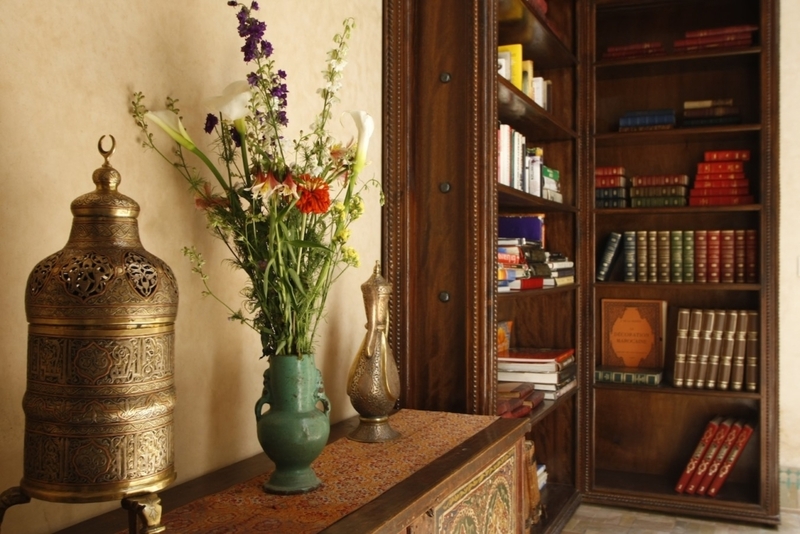 Riad Kniza is a completely authentic Moroccan home and guesthouse. It is a building that possesses soaring salons, spacious rooms, and tranquil patios. These spaces are decorated with a sophisticated opulence. Haj Mohamed Bouskri has then furnished these beautiful spaces with incredible antiques, Berber rugs, silk sofas and embroidered curtains. The individual spaces of the hotel convey the depth and personality of a palatial home of Marrakech. 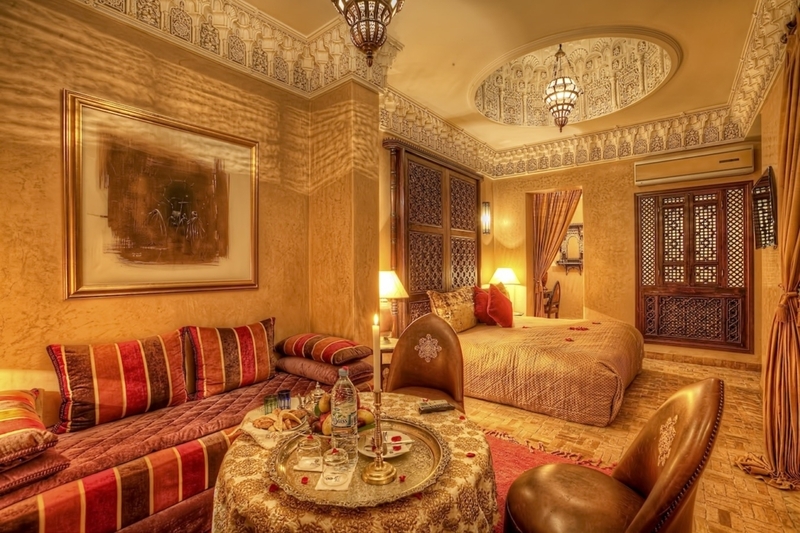 There are only 11 lavish guest rooms and suites making a stay at Riad Kniza a genuine boutique experience. These rooms are situated around 3 open-air courtyards that allow the atmosphere of this ancient city to seep into all areas of the hotel. The warm and inviting common areas include a library, a drawing room, a pool and a rooftop terrace with sweeping views over the city. Upon arrival, guests will be surrounded by rose petals and fresh flowers that are everywhere. There is also a spa and hammam that is unrivaled in the city for guests who desire some extra pampering. 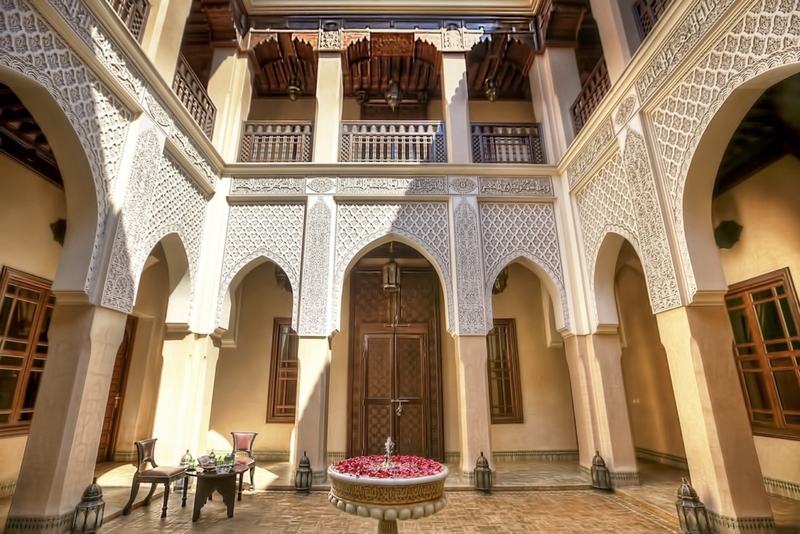 There is something about Riad Kniza that feels light and spacious, which is quite unlike many other hotels in the maze-like medina. This spaciousness extends to its 11 individually appointed rooms and suites in this incredible example of an African luxury hotel. The rooms and suites include deluxe rooms, superior deluxe rooms, junior suites, senior suites and one royal suite. There are four lounges for the guests to enjoy, three of them are appointed with magnificent fire places. 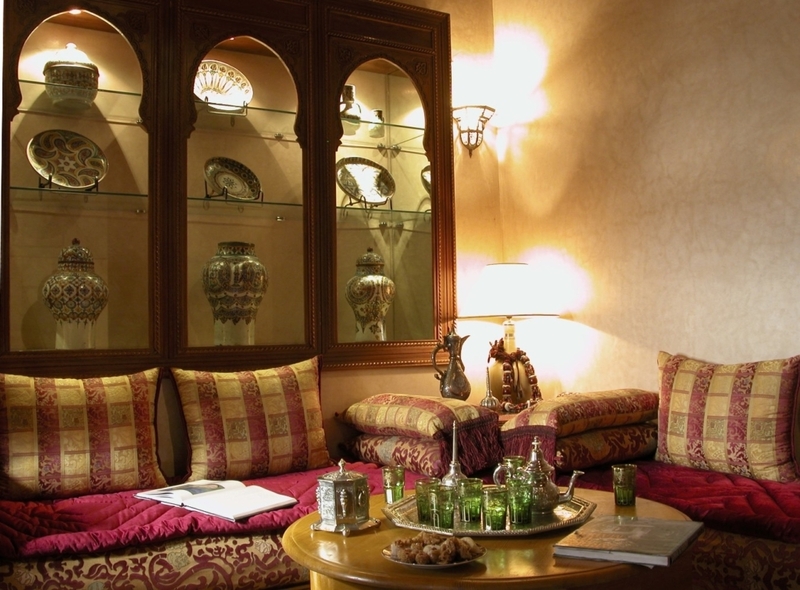 The rooms and common areas are all outfitted with traditional Moroccan furniture. They are also filled with an astonishing array of museum-quality antiques. A stay in Marrakech would not be complete without the opportunity to enjoy the finest of Moroccan cuisine. In terms of dining experiences, Riad Kniza excels. 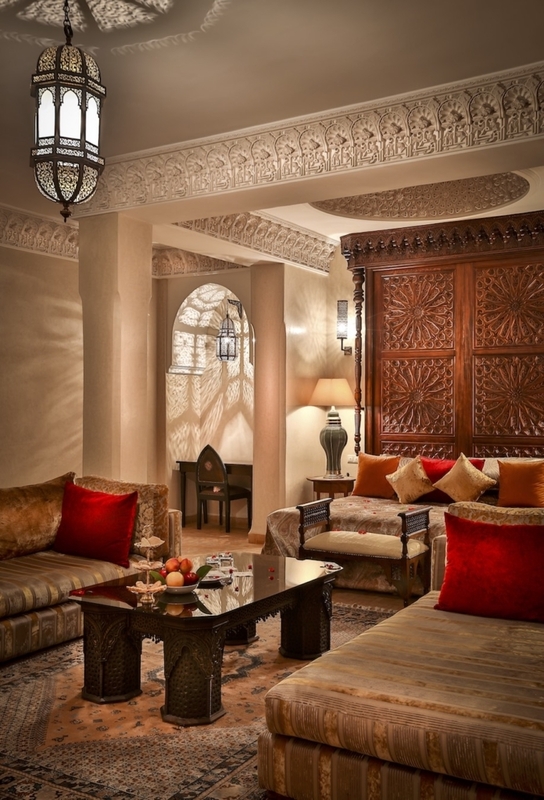 As an African luxury hotel, Riad Kniza serves ample breakfasts and multi-course Moroccan feasts. These can be enjoyed at the leisure of the guest and can be experienced wherever they so desire. Guests can dine in their room, on the rooftop terrace whilst enjoying the panoramic views of the city or by the fire in one of the lounges. 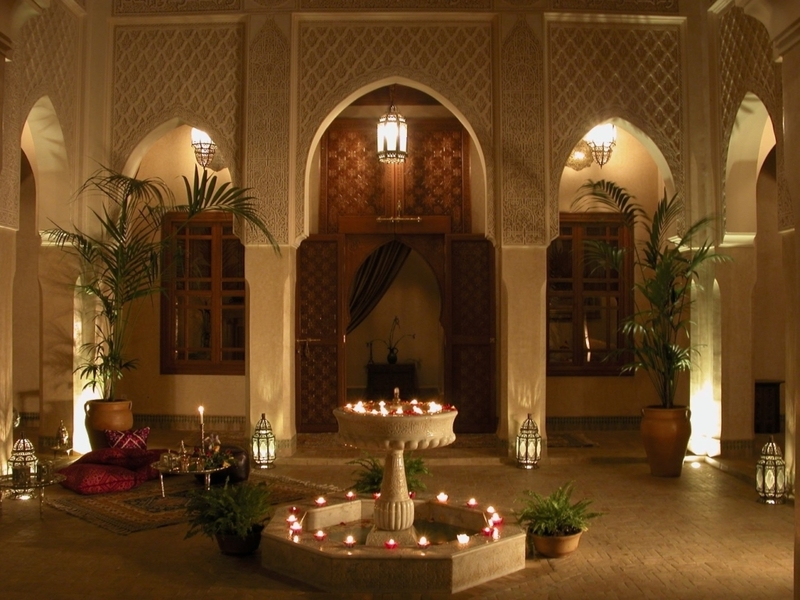 Evenings at the Riad Kniza are started with cocktails in the courtyard whilst gazing at the stars above. Guests are entertained by traditional Gnawa music, which is a mixture of African, Berger and Arabic songs. Then guests can move to the rooftop terrace for lavish meals that include 4 to 7 courses. 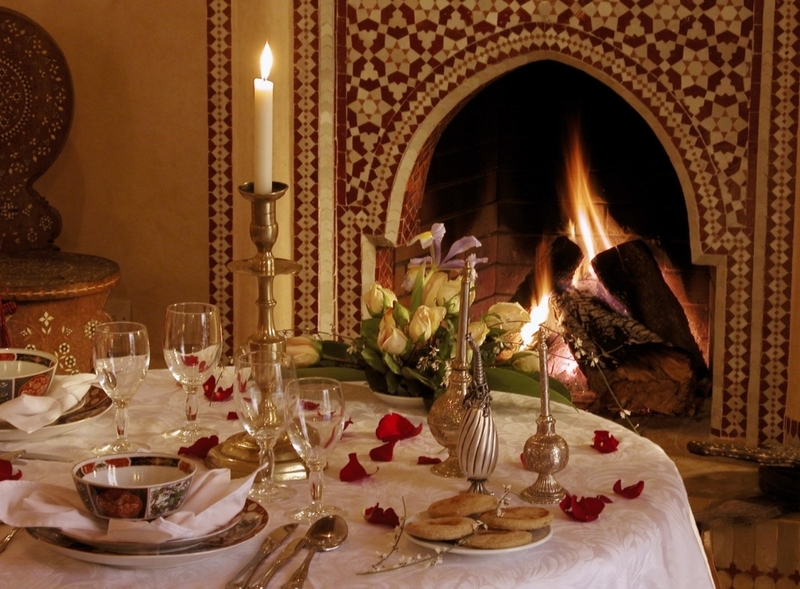 As an additional bonus Riad Kniza offers hands on Moroccan cooking workshops which is ideal for the gourmet traveler. The chef of the Riad Kniza has a history of catering for distinguished Moroccan families, embassies and notable VIP’s. 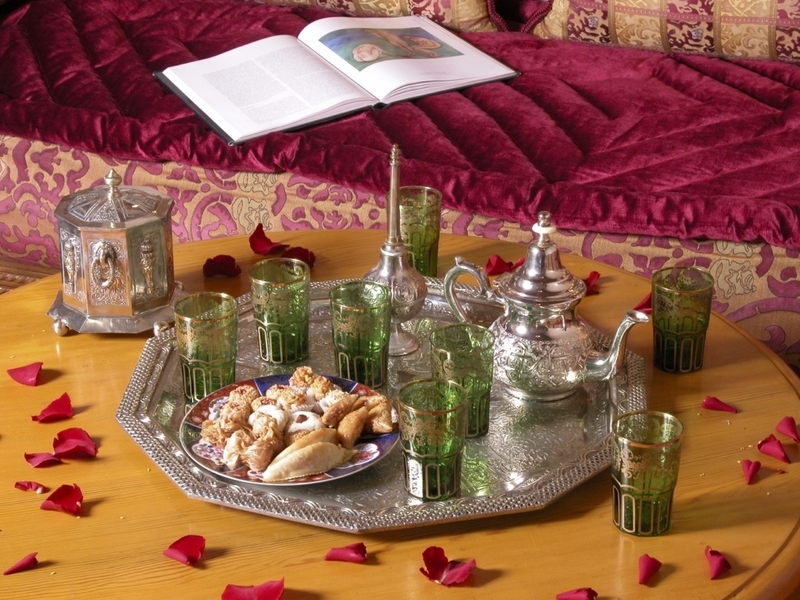 At Riad Kniza guests can enjoy Moroccan gastronomy at its very best. 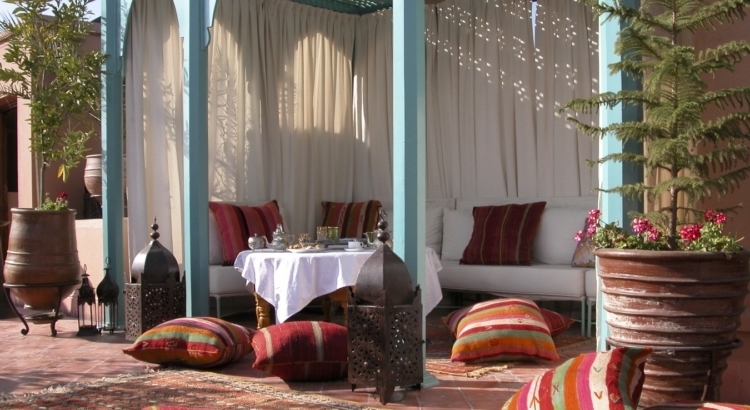 The restaurant of Riad Kniza is known as providing one of the finest Moroccan tables in town. Due to the individual choice of dining areas, guests can be quite secluded and enjoy romantic and intimate dinners. 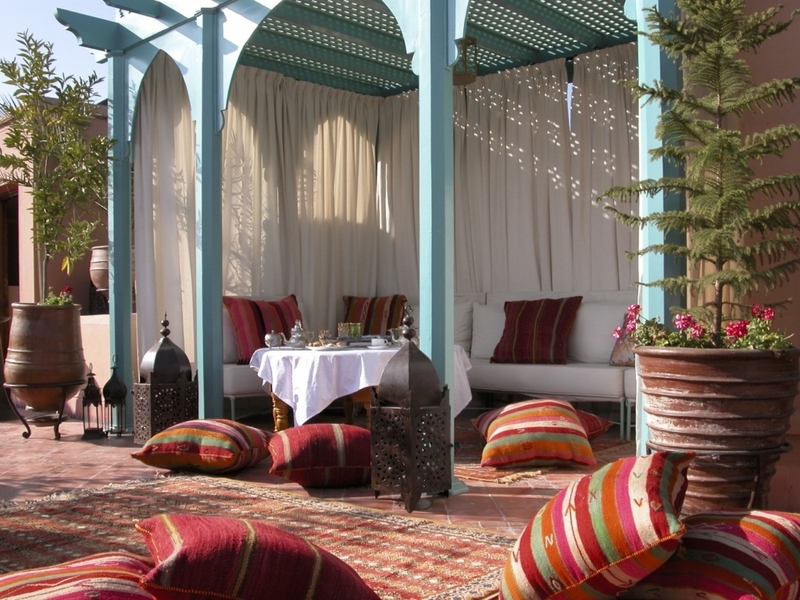 They can also choose to partake in the feasts that occur in the sumptuous Moroccan salons or on the rooftop terrace. Riad Kniza Marrakech was selected by Luxury Hotel Photographer Antonio Cuellar because it delivers a luxurious Moroccan experience, unlike any other. There are many factors that need to be combined to befit the status of the luxury hotel and Riad Kniza includes all these factors. It has an enviable location within the ramparts of the old Medina. Its architecture is unique to the region and has been painstakingly and authentically restored to allow guests to truly savor Morocco. The styling and design is opulent and indicative of the region. The cuisine is of the highest standard in the region and the service is exemplary. The property is now managed by Haj Mohamed Bouskri’s son but guests can still benefit from his profound knowledge of Marrakech and the Kingdom of Morocco. As an African luxury hotel, Riad Kniza, Marrakech offers an unforgettable experience in exquisite surrounds. Absolutely breathtaking! I would love to visit this place at least once in my lifetime that’s for sure! It´s uniquely exquisite place. The rooms are spacious and inspirable of memories of some old movies, where the plot is set on luxurious places that evoke the stories of love of very priviledge people. It´s a fantastic hotel, I give it a thumbs up! Wow, gorgeous interiors! I’m sure staying in such a place will bump up a visitor’s Moroccan experience. Now this place looks grand and royal. A celebration of an immense and alluring architecture. Morocco has a rich culture, history and tourism. Definitely a must country to visit for vacation and leisure. Plus you will able to experience much of what Moroccan can offer. Wow such a nice place! This is pure luxury! Definitely something to put on the bucket list! The place is amazing with stunning architecture and looking at the unique style gives me a feeling of living in a palace. The courtyard, the rooms, dining and the swimming pool have been designed exquisitely with a royal touch in everything. It is one of the must see places when traveling to Morocco. Thanks for sharing. You Should go see it for yourself. It’s even better in Person. If you are looking for an African luxury hotel, look no further. These picture and writeup is excellent! This African Luxury Hotel is a display of elegance like I’ve never seen before. Thanks for sharing, will share on FB & Twitter. 200-year old mansion?? Wow! That got me right there. This is going on my bucket list for sure. Just stepping into one of these rooms would make anybody feel like a King or Queen if only for a day. Amazing indeed! !